Ouch! 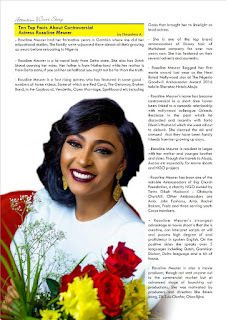 Did I say you should mind what you wear, what you say or what you do, Because our camera lenses are beaming search lights all over looking for the sassy, the sizzling and the boldly dressed and our hands itching to put online worthy event news. 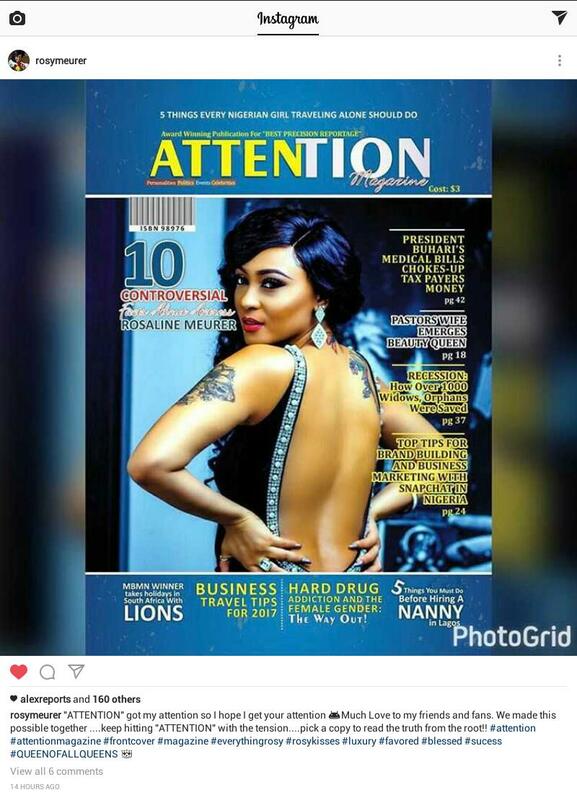 Attention Magazine is subsidiary of Amity Global Network, which covers and carries entertainment, celebrity, political and sports news. 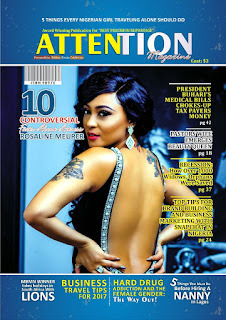 The 2017 Febuary edition is of blue impression adorned by the controversial nollywood actress and Oasis lead star Rosaline Meuer! 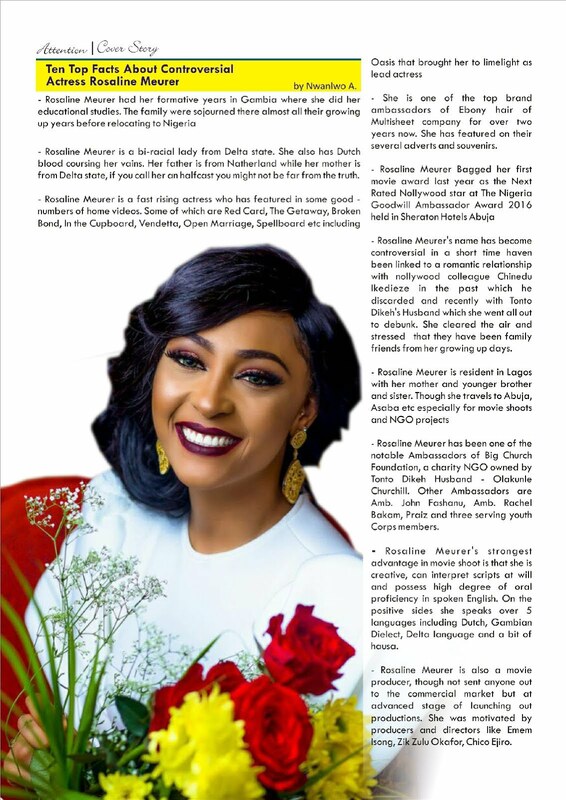 Sure, All hail the Queen. 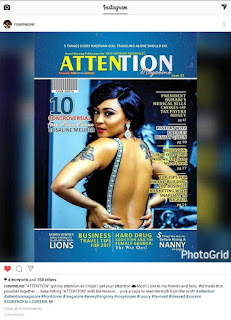 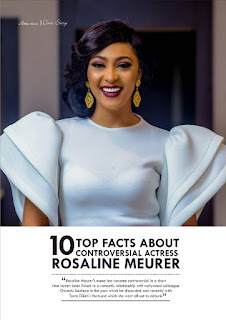 The viewers choice Nollywood diva who has impressed in these movies Red Card, The Getaway, Broken Bond, In the Cupboard, Vendetta‎, Open Marriage, Spellboard etc including Oasis has top 10 facts x-rayed about her. She Nigerian/ Dutch bi-racial model and actress acknowledged the publication on her instagram: @rosymeurer.